Starting from € 690,00 per person. An amazing experience for the gourmet who loves White Truffle: from the hunting in the woods to the tasting moment at the restaurant. Indulge in a journey into gourmets’ paradise searching for the most valuable truffle in the world: the white truffle from Alba. 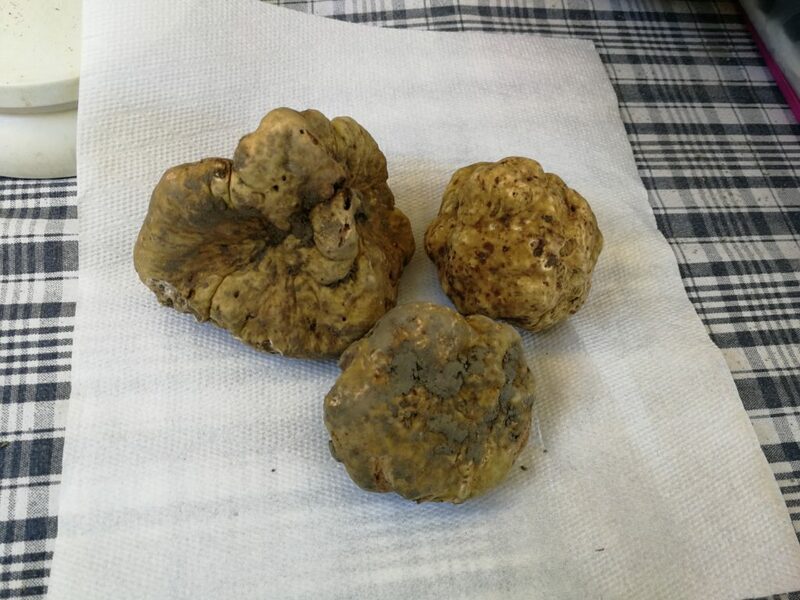 This tour is a good opportunity to jump into the world of truffles, starting from the search until to find it in your plate at the restaurant. You’ll be accompanied by the truffle hunter and his dog among the beautiful UNESCO Hills of Langhe, walking in the woods; he’ll tell you the truffle’s characteristics, history and the techniques on how to search for it. Then we’ll book for you a fabulous dinner with the dishes of the ancient Piedmontese tradition, enriched by the unforgettable truffle scent, and with a good bottle of red wine on the side! But obviously you can not leave without learning how to set a perfect meal with truffles: so you’ll have the opportunity to live the experience to prepare a full menu from appetizer to dessert, in a cooking class inside a renovated medieval castle full of atmosphere. The lesson is hands-on and everyone is actively involved in cooking the dishes. We say that you cannot taste truffles without a good glass of wine! This tour will also offers the chance to learn lot of interesting technical details that however are going to be explained with simplicity of language, lightness and fun, meeting some of the great wine producers from our land. The highlight will be the producers’ tales and the wine tasting, with the aim of presenting the differences between areas and vineyards and trying to find out the main features that make all the local wines big in their own ways.